It’s often during the tail end of winter that kids can get sick often. But just because the season is nearly over, it doesn’t mean you just have to grin and bear it. There’s still time to boost your kid’s immune system naturally. Over winter, I’ve seen a lot of kids who have had recurrent infections, or not bouncing back as quickly from sickness. The problem is that it takes a toll on the whole family. Germs can pass around a family quickly, and parents need to take days off work to care for their little ones. So prolonged sickness can affect the quality of life for the whole family, even if the infections are minor. 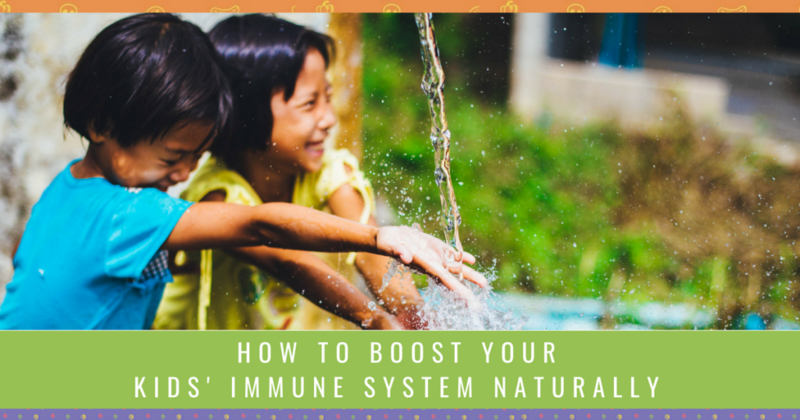 Watch the video or continue reading below to find out more about how to boost your kid’s immune system naturally. The first thing to remember is that sickness is normal, especially for children. During childhood, the immune system is still developing. Kids are also more likely to spread germs thanks to their less-than-ideal hygiene! But a true sign of a strong, healthy immune system is how quickly they bounce back from illness. You want them to be back to their vibrant, energetic selves! What you don’t want is for them to catch every bug that goes around school or kinder. If they are taking longer to recover, or if they get recurrent infections like ear infections or respiratory infections, it might be a sign that their immune system needs some TLC. There are many factors that can suppress immunity. But there are three major causes that I see popping up frequently. The first is a low nutrient intake. There are a few reasons why your child might have a low nutrient intake. They might be fussy eaters, and refuse to eat a variety of foods. Their diet might be higher in refined foods, so they aren’t getting enough of the nutrients that are essential for immunity. Or they might not be consuming enough wholefoods to give them these necessary nutrients. Often, it can be a combination of all three. 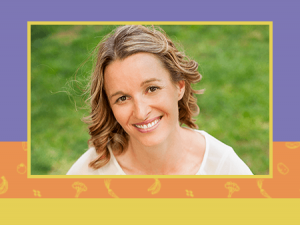 The second is compromised gut health. The gut plays an essential role in immunity – around 70-80% of the immune system is actually in the gut. So if the gut isn’t healthy, the immune system can suffer. Common causes of compromised gut health include a low fibre diet, medication use including antibiotics and an imbalance in gut bacteria. The third is an imbalanced immune system. This is common in children, as their immune system is still finding its balance. An immune system that’s reactive uses up a lot of resources, which leaves little behind for protecting the body from infections. Common signs of an imbalanced immune system include conditions such as eczema, asthma, allergies and intolerances and hayfever. 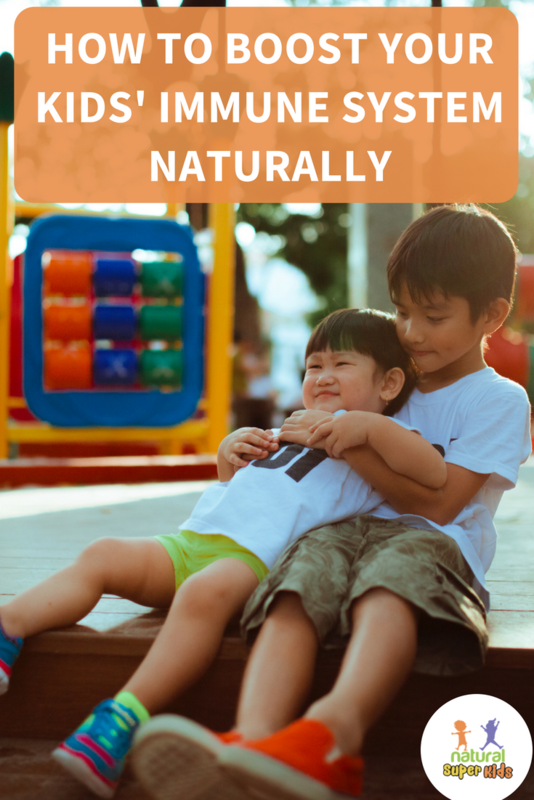 The good news is that there are heaps of way to boost your kid’s immune system naturally. Things like nutritional supplements and herbs have their place, but they need to be customised to your child’s case by a practitioner. But the best way for you to supercharge your child’s immunity is using plenty of nutrient-dense wholefoods. These simple tips can be beneficial for everyone, and address all three factors that could be causing low immunity. Antioxidants are a group of nutrients that include like vitamins A, C and E and zinc that power the immune cells. So to boost immunity, we want to add more antioxidants into the diet. It’s easy to spot a plate that is high in antioxidants, because it is full of natural brightly coloured foods. The more colours on a plate, the better! Some of my favourite high-antioxidant foods for kids are berries, carrot, sweet potato, pumpkin, citrus fruits, kiwifruit, different coloured capsicums and beetroot. Deep green leafy vegetables are also great, but many kids don’t like the taste. In this case, you can add a little bit into things like sauces and smoothies. One important thing to remember is that heating, processing, and even freezing can reduce the levels of some antioxidants. So even in the middle of winter, you want to include some raw fruits and veggies in the diet. You could add some capsicum slices into the lunchbox or even find a winter-friendly salad recipe to try. Herbs and spices are little extras, but they pack a punch when it comes to immunity. Many are anti-microbial, antioxidant and contain other immune-boosting nutrients. For spices, garlic, ginger and turmeric are some of my top picks. When it comes to adding garlic to a meal, there are two tricks to remember. The first is that adding it at the end of cooking instead of the start means that you’ll reap more of the medicinal benefits. This is because many of its properties are sensitive to heat. The other way to boost up the powers of garlic is the chop it up and let it sit for a minute or two before adding it. As it sits, the medicinal properties are activated. For herbs, oregano, thyme, parsley and dill are all good options to add into the family meals. Growing your own herbs is an easy and affordable way to have a year-round supply. Herbs can have a strong flavour, so if your kids aren’t used to them, try adding them to a favourite dish. Popping some chopped parsley or oregano onto a pizza is a good starting point. Start with small amounts, and build it up. Fermented foods can improve gut health by adding good bacteria. But fermenting vegetables can also enhance the nutrient status of the food. So it’s a two-for-one deal for your immune health. The biggest issue with including ferments is compliance – a lot of kids don’t like the taste. This is where you can experiment, either with making your own or finding a tasty, good quality option at your local health food store. A little bit goes a long way with fermented food, and you want to give your child time to adjust their palate to the taste. So try adding a few slivers of sauerkraut on the side, or mix it in with a sauce. 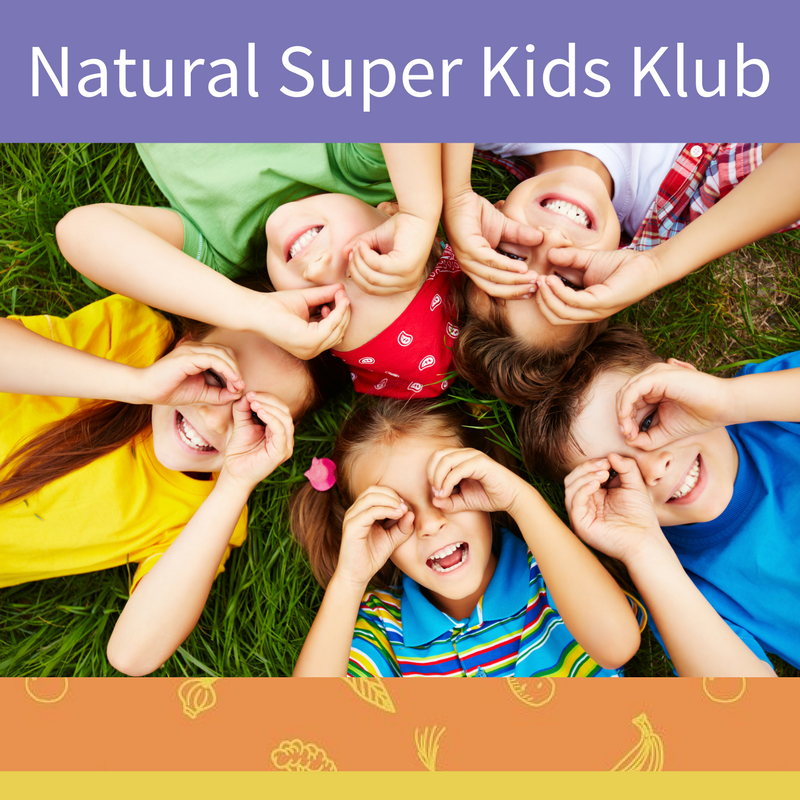 Looking for more ways to boost your kid’s immune system naturally? The best way to support immunity is to include plenty of nutrient-dense wholefoods. 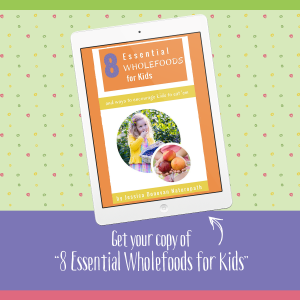 I’ve included all of my best tips for boosting your child’s intake of wholefoods in my free ebook, Essential Wholefoods For Kids. To grab your copy, click here.